Departamento de 2 ambientes, moderno y Super luminoso. Amplia terraza con vista abierta y parrilla propia. En ubicación privilegiada; en zona residencial y de embajadas, cerca de Cañitas y Palermo Hollywood. Ein pasos de todos los medios de transporte: subte línea D, trenes, colectivos y bicisenda. El edificio cuenta con piscina, Parrilla, Wäsche y Seguridad 24 hs! 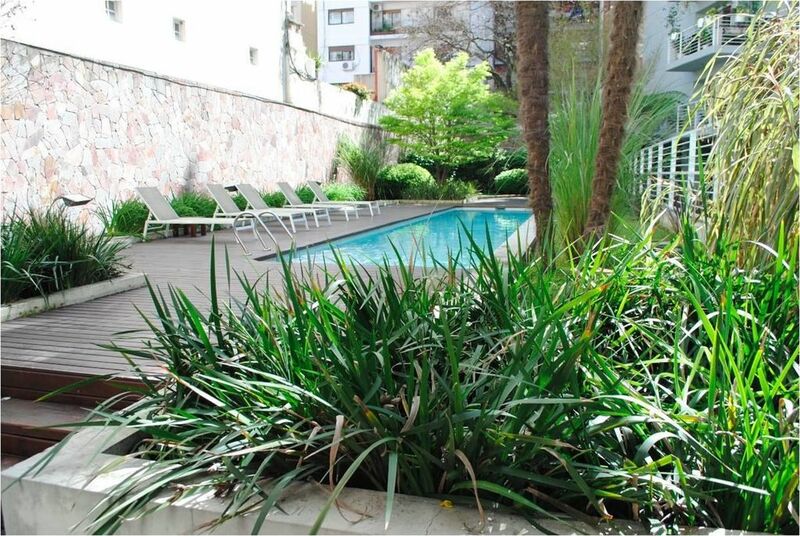 This little apartment is clean, bright, and conveniently located near the Subte, buses, restaurants, and a supermarket. The owner was very accommodating, flexible and responsive. The toilet needs a new part and needed to be jiggled a bit all week and the mattress on the pull-out bed was a bit thin for my teenagers, but those are minor concerns. We had a great week in Buenos Aires. Thanks for your visit Robert, it has been a pleasure to host you and your family. Toilet parts have been replaced! Hope to host you in your next visit to Buenos Aires!